New Deal Multimedia caters to small to medium-sized businesses that desire a presence on the web, but do not wish to hire an in-house web specialist. We specialize in template design, graphic design, XHTML, CSS, PHP, and MySQL. We offer a series of business services not only including website design but internet marketing, IT Support and other specially designed services. 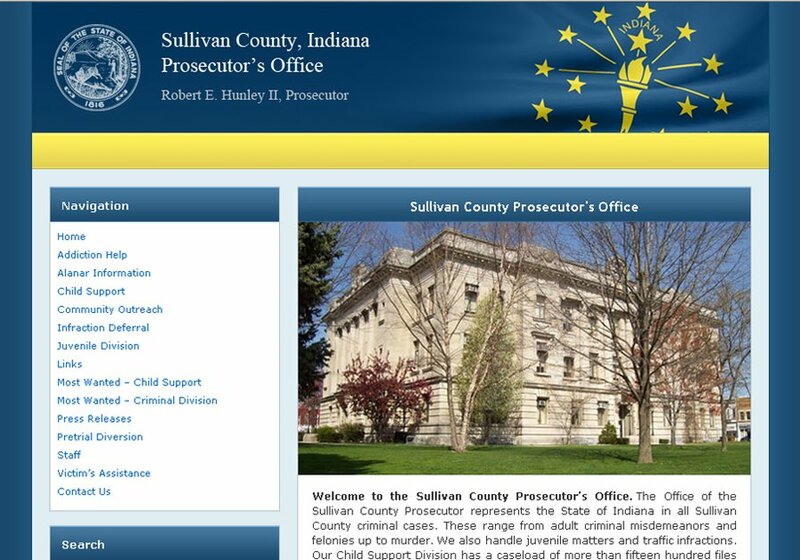 This is the homepage for a county prosecutor's office. It has a professional and formal feel to it.